Today I am thankful for a chance to stop and take a breath from all of the business we've been in the midst of these last several weeks. But I am more thankful that I was born in a place where we do have so much freedom, and it's great that we set aside this day to remember those who have given so much in the name of that freedom. Since Memorial Day also marks the "official" beginning of summer in a lot of ways, I'm realizing that a good chunk of 2014 is gone. 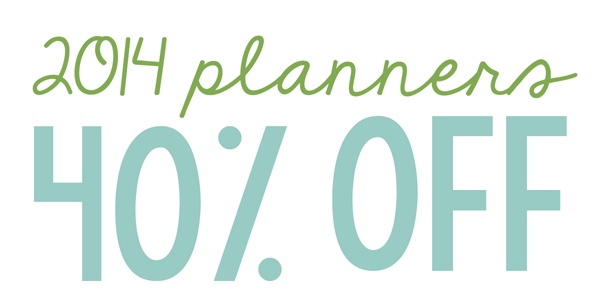 Because of that, I've marked down all of my 2014 printable planners by 40%!